With our Shopify integration you can display customer information from your Shopify account in the conversation view. Order informations is searched by the customer's phone or email address depending on contact channel. Go to Manage Private Apps. 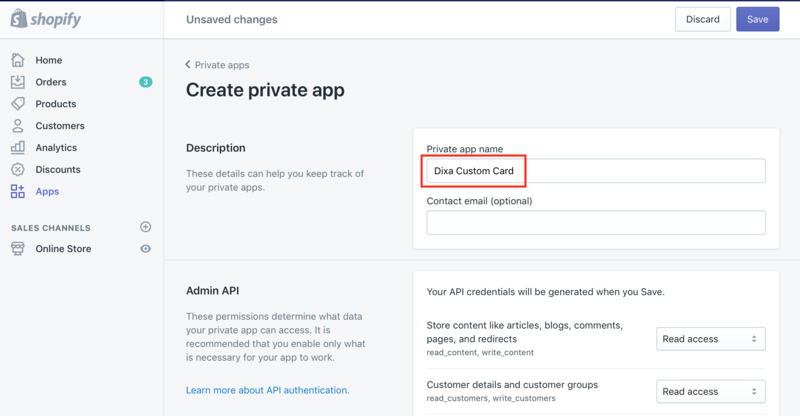 Enter Dixa Custom Card under Private App Name. Check the box next to Storefront API. 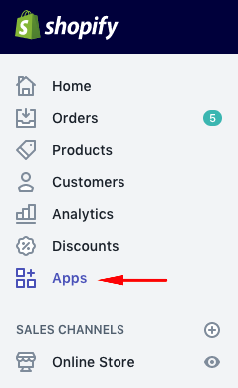 Click in Configure Integration under the Shopify icon. Enter a Tile for the card (ie. Shopify information). Insert the API Key from your Shopify account. Insert the API Password from your Shopify account. Insert your Shopify subdomain URL. If you want to customize the template click HERE. When no information is found in Shopify.